electronics repair made easy: DVD power supply dead now repaired. DVD power supply dead now repaired. Hello Humphrey! 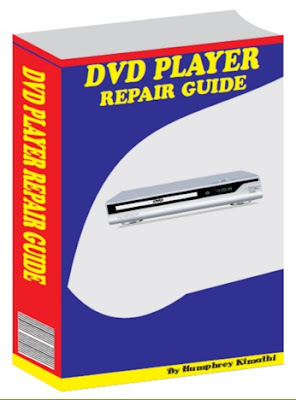 Your book on DVD player repair guide has made me to learn new hints how to solve problems related to DVD switch mode power supply (S.M.P.S). Now I received a DVD from my friend which had power problem .When I opened the casing I noticed the fuse 2A/250V was dark inside. I removed it and connected a 100W bulb across the fuse and it was too bright and no voltage across the main capacitor 10uf/400v. After thorough diagnosis all the diodes were o.k. even the thermistor, This small power supply uses an I.C viper22A I unsoldered it and replaced with a new one and applied power again, the bulb lit momentarily the went off. At the output I measured the voltages and I could get 12v,-12v and 5v so then I unsoldered the bulb and replaced it with a fuse and the DVD was now on. I loaded a disk and it played so well. The following day I called the owner to collect it. After one day the owner told me after collecting he played only one cd well the loading another one it spins for so long then it displays no disk Though I have to take it again but my question is could be a lens or motor problem? Most likely the spindle motor... But you can test this easily using analogue meter set to X1, if the motor is okay it should spin very fast and read between 5 ohms and 20 ohms. Indeed even by rotating the DVD motor with my figure it spinned slowly and unevenly, taking the ohmmeter using analog meter set to x1, no reading at all . Now I decided to remove the motor from my own working DVD then replaced to the other DVD now it’s reading CDs! missions accomplished. Congratulations... Way to go Justus. Thanks and welcome Arnold. Cheers!